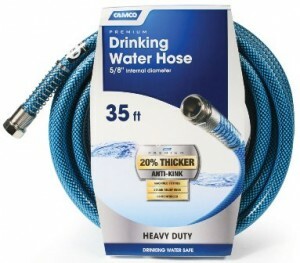 Discover everything you need to know about buying your next RV Water Hose…well almost everything. The list could go on and on, but you get the idea. The market is flooded with different kinds of RV water hoses. One important tip you must remember, when it comes to your RV, and that is that ole green garden water hose just will not work! It won’t work because it is not made for potable water. What is potable water? It just means it is safe for drinking out of. Your general green garden hose is not safe to drink from. They release heavy metals and other toxic substances into the water that can make us humans sick. Photo credit: Camco Manufacturing, Inc.
Let’s take a more detailed look at the different kinds of RV hoses. We have already mentioned potable and drinking water hoses as the terms are interchangeable. What about an RV heated water hose or an RV water hose with freeze protection? Again these are pretty much one in the same. If you camp or travel in temperatures that are below freezing then you need to take precautions so your water does not freeze. A heated hose usually has a heat strip along the side of the hose. That strip is plugged into a standard 110 volt electrical connection to heat it up. The hose stays above freezing thus, so the water in the hose stays above freezing and flows freely into your RV. Hoses come with different “perks” thus the no kink, no twist, no tangle hoses. They also come in various lengths, but the most common are 6, 12, 25 and 50 foot lengths. If you have camped much at all you know the distance from the campground water source to your RV can greatly vary. Having different hoses with different lengths can come in handy. You want just enough length to get you connected without putting a strain on the hose. You also do not want a curled up hose, they tend to kink up and restrict water flow. If you have more hose than you need, you should stretch it out to create a smooth water flow inside. 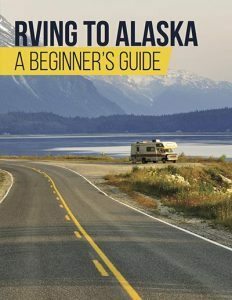 One last thing to you may want to think about is storage for your RV hose as well. Just like anything, taking good care of your RV water hose will ensure it will last you many years. There are nice RV hose reels and I have also seen a few hose bags which store the coiled up hose, neatly and securely. Either of these will do. 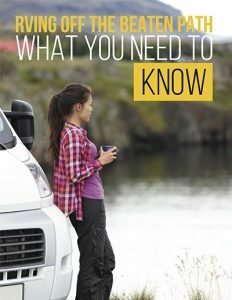 I hope you find this information useful in helping you answer some of your RV water hose questions, now let’s go camping!